"In the last two years we lost two wonderful friends and fellow hypnotherapists to ovarian cancer. Our friends were not fully aware of the symptoms of ovarian cancer, they also found that health professionals were either not aware of the symptoms or initially treated them as having other, less serious illnesses. We realised that too had no idea of the symptoms of ovarian cancer and that the symptoms awareness, treatment and survival lags behind many other more high-profile cancers. We were shocked by this and decided to do something about it, to raise money to help research into treatment and raise awareness of the symptoms. As hypnotherapists, we strive to find the best way of working and we seek out research and studies to help us. We both enjoying running, Louise is speedy and loves the trails and mud, whereas Lindsay likes a nice slow plod on a clean road or beach! 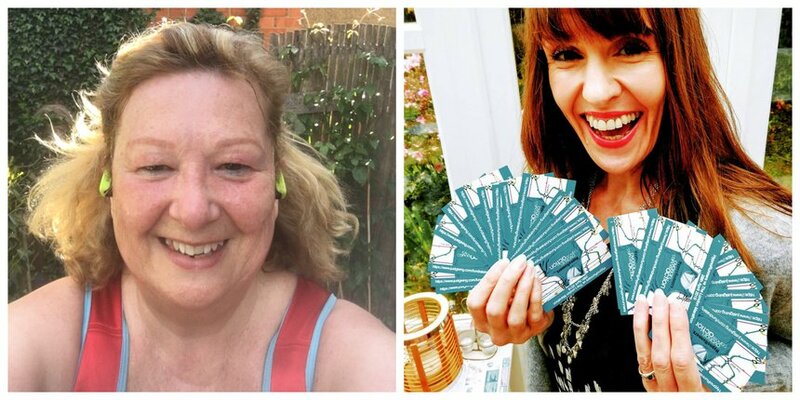 Louise has one marathon under her belt and Lindsay tends to stick to 10K or the odd half marathon. We decided to combine our work and hobby and take action to raise money to help beat Ovarian cancer. Ovarian Cancer Action with its emphasis on research was the perfect charity fit for us. We were thrilled to be accepted as part of the OCA London Marathon team. Our aim is to raise £10,000 for OCA in memory of Heather and Sarah – and we are over halfway there! In all honesty, training for a marathon is a slog at times. We’re both self-employed and training can be hard to fit in. It’s tough to get out in the cold, rain or wind. Louise has a young daughter and Lindsay isn't that far off collecting her pension. Our feet hurt, every sniffle gives us a minor panic that we’ll miss valuable training. We use our hypnosis skills to keep motivated! Then there are the days when it all goes right! The winter sun shines, your feet feel as they are flying, we sing out loud as we run. The miles just flow. It feels fantastic! What keeps us going is thinking of Heather and Sarah. We often think of what they’d be saying to us as we grind out the miles. We keep going. Keep on fundraising. The support we have had so far is incredible! Raffle and auction prizes; cash donations; tombola tables and more. It’s taken some nerve to ask for donations, but people are generous and that £5 may be the £5 that makes all the difference. The team at Ovarian Cancer Action and Tom in particular have been outstanding in their support. We feel part of something special and important, part of a great team all working together. There are lots of miles yet before we get our victory lap in London on 28th April 2019 but we know when the day comes we’ll cross that finish line proudly wearing our OCA shirts!" Join Team OCA and find out how you can walk, run, skydive or cycle to help fund vital ovarian cancer research.